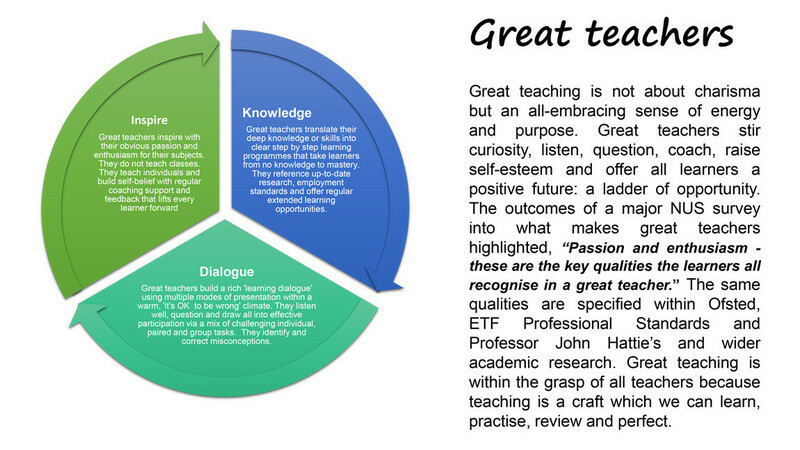 Gain an immediate overview of the significant factors underpinning great teaching, learning and assessment. The five major themes of knowledge, questions, analysis, feedback and challenge summarise well the most recent educational research evidence. 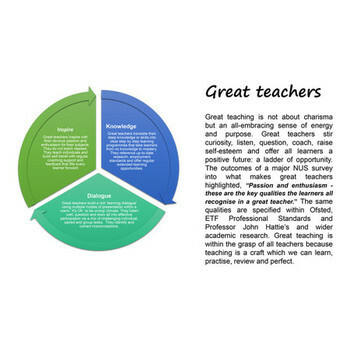 Ensure your teaching teams reflect upon and develop strategies across all five themes.